MP for Stockton North, Alex Cunningham, is backing a charity’s call for accessible lipreading classes in Stockton so that people with hearing loss can learn this life-changing skill. 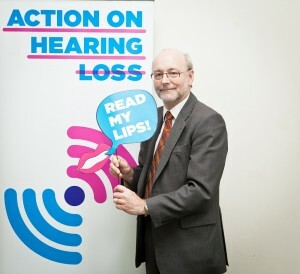 The MP gave his support to Action on Hearing Loss’s campaign to ensure people with a hearing loss have better access to classes teaching lipreading, which can improve communication and help people with hearing loss to live full and independent lives. Lipreading is a vital communication skill which improves the overall management of hearing loss, reduces social isolation, and helps people to cope in the workplace during meetings and when talking to clients and customers. During the charity’s parliamentary event marking the launch of their new report, Not Just Lip Service, Mr Cunningham watched a short film which tested his ability to lipread and demonstrated how important the skill is when you have a hearing loss. Following the airing of the film, he discussed lipreading and key recommendations from the report with Action on Hearing Loss.